13+ Years on the Road non-stop, self-funded travels with online work. My travel knowledge explained in 40 travel tips + Bonus Travel Destination Maps! This is what my story is all about. I have been named the Pioneer Digital Nomad because apparently, I was one of the first to undertake such a lifestyle. And which better way to spend my time on the road than to try to reach my dream of traveling every country in the world! Well, I can now say I have reached my objectives with 188 out of the 196 countries visited. But the amount of hoops I had to jump to achieve my objective was exhaustive! I left Canada in 2006 for an open-end trip to discover the world. I left with little to no money and aimed to self-fund my travels with a single website. Years later, I’m still traveling and doing well financially! This is what thedigitalglobetrotter.com aims at doing, to help you figure out how you can follow in my tracks, step-by-step! Now I have the exclusive e-book just for you! 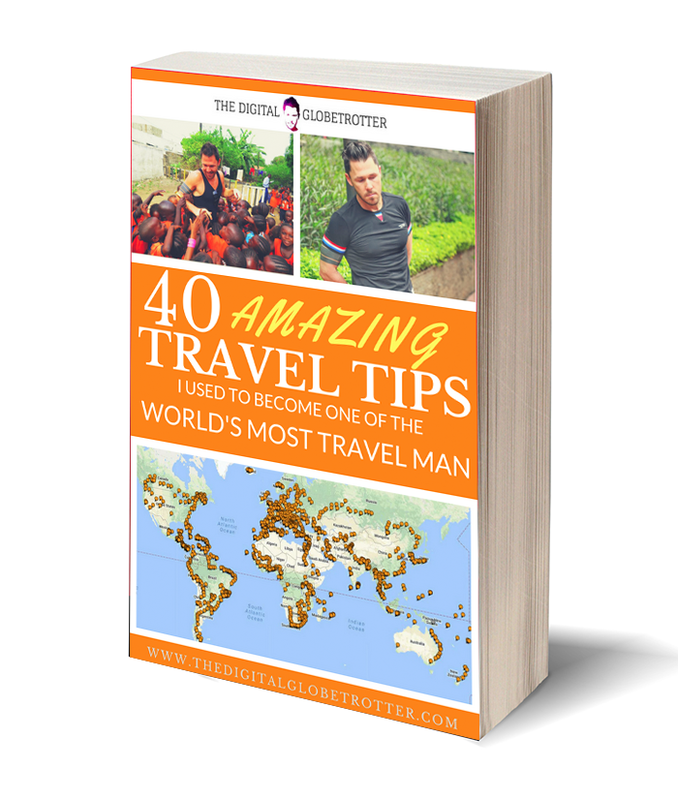 This e-book is the summary of what I have learned and achieved through those 13+ years, all accessible through an easy and painless read for you to absorb all my tips your travel plans! Had I read this ebook when I started traveling, my path would have been much smoother that’s for sure! 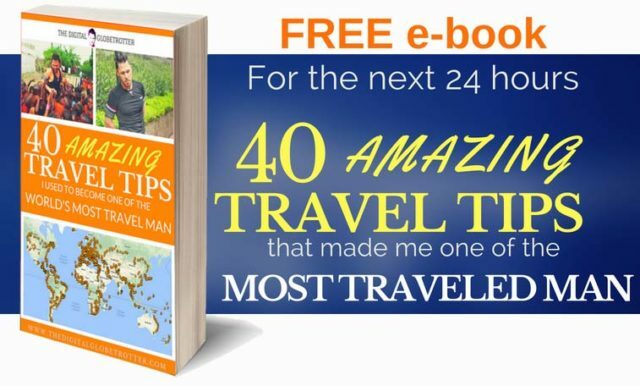 So here it is, my 52-page Travel Tips e-book totally FREE for early subscribers. All you need to do is to Sign-Up bellow with your name and email, and you will receive your copy directly in your inbox right away!